We are occasionally asked for the address of property listings so that the area, etc. can be explored online using Google Earth. However, especially in the small coastal towns where we work, there are no specific addresses. The streets do in fact have names (although you usually wouldn’t know it due to the lack of street signs) but there are no street numbers. Instead, locations are generally referenced using cross-streets and landmarks. For instance, we are currently located along the main road in San Clemente, called Avenida Quito, two properties north of Hotel Palmazul. That’s our functional street address. Hotel Palmazul’s address in their promotional brochure translates as: “Quito Avenue, no street number, and smaller cross street, 500 meters from the main highway. along the road towards Punta Bikini.” (Punta Bikini is one of the names for the scenic beachfront cliffs at the northern end of San Clemente). 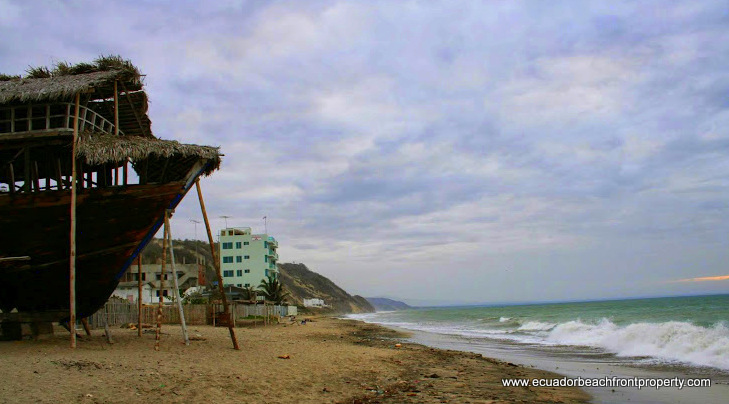 Southern end of Crucita in 2006 when the partially built fishing vessel was a Crucita landmark. The boat was finally completed at the end 2008. So, without specific addresses (and no mail boxes), how does one receive mail? To be honest, we did not know the answer to this for years. All of our US bills were sent to us online and any other mail we had sent to my parent’s address in Texas–most of it junk mail anyways. For receiving packages, we often have people who are visiting bring us items that we’ve purchased online and had sent to their home address. However, after many years of being asked this question, we FINALLY have some comprehensive answers. 1. If you plan to receive letters and packages regularly, one option is to rent a PO Box (“apartado postal”) at the post office in a nearby city. The national postal service is called Correos del Ecuador. For those of us living in San Jacinto/San Clemente we might choose either the post office in Bahia or Portoviejo. Rates for a standard sized P.O. box is $25/year. PO Boxes are available for $25/year. 3. If it’s an important document; e.g. containing powers-of-attorney, official birth certificates for getting your visa, etc. you should use an international courier service such as DHL which has offices in Manta and Portoviejo. There are no FedEx offices in this region–the closest is located in Guayaquil. These services are of course pricey (around $100 to send a couple of pages) but reliable. The other day I heard Tom exclaim, “Look at that! We actually have a postal code!” Sure enough, there is a website through Correos del Ecuador that enables you to look up your postal code (and actually has fairly detailed maps with street names when you zoom in). 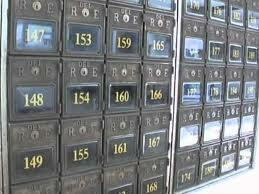 While postal codes technically exist, they don’t appear to be necessary or even used regularly. Not yet anyways. Our location using the post office’s postal code finder. We discovered the names of the surrounding streets during this process and now know that we’re located between Streets H and I. The national postal service has advanced significantly over the last several years. For example, the number of post office locations nearly doubled between 2006 and 2011 (today there are 412 offices in all 24 provinces), and now offer a variety of services including tracking, expedited mail service, certified mail, and even Western Union. Photos of postal delivery vehicles in 2006 (left) and in 2011 (right). 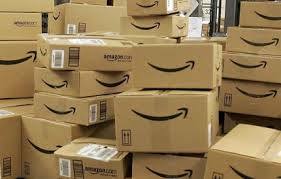 RELOCATION = LIFE WITHOUT AMAZON.COM? Another service offered through the national postal service is Club Correos which simplifies the process of receiving online purchases while living in Ecuador. In other words, you can still shop online from Ecuador. Club Correos is an inexpensive service that handles your online purchases so that you can receive them in Ecuador with minimal hassle. When you sign up for Club Correos, you are assigned a Miami-based mailing address that you use for your shipping address. Club Correos receives your online purchases at this address in Miami, takes care of any customs forms, and then ships your package to your Ecuador address (most reliably to a P.O. Box). As long as your package is valued at less than $400 and weighs less than 4 kg (8.8 lbs), they are duty free. There are some restrictions, now including all cell phones. The fee to join Club Correos is 11.20 per year. The website has a shipping calculator to determine your shipping price based on weight and value. For example, a 4 lb package valued at $100 would cost $23.21 in shipping. In our experience thus far, it takes around 2 weeks to receive your purchases from the time they arrive to Miami. Logistical Note: When you sign up for Club Correos they request a 10 digit identification number (US passports are 9 digits). Just add a zero and then enter your passport number. Another note: I learned the hard way that it’s important to have all of your items shipped in a single package. Amazon often ships things separately so they arrive quicker. Instead of paying around $36 for my three items as I had expected, I paid almost $100 because each item was mailed separately. Ouch. 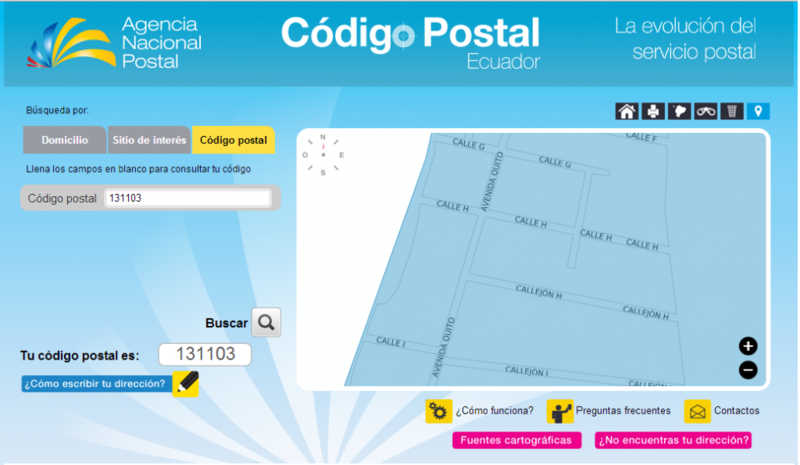 Here is nice summary about mail in Ecuador which also discusses sending mail (with some specifics pertaining to Quito). The ins and outs of sending and receiving domestic mail is a topic in and of itself that I’ll have to save for another time.